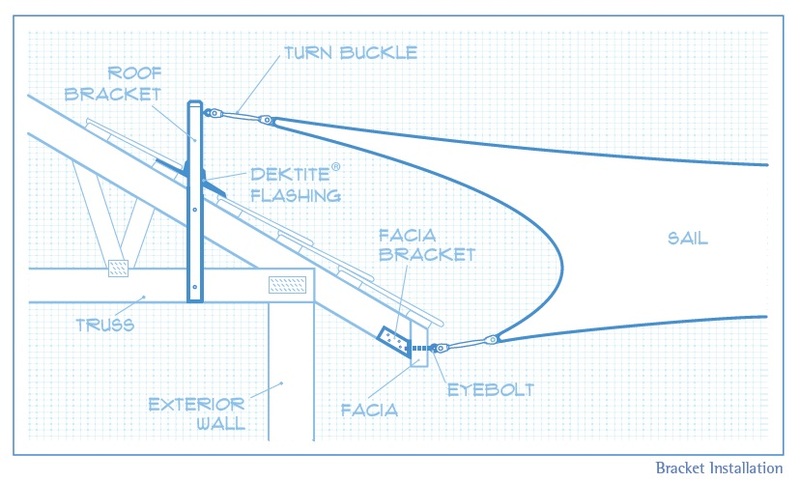 If you are installing your own shade sail there are a few steps you need to take to ensure a proper installation. Ask your manufacturer for guidance if you have any queries. One of our design consultants will visit your home to discuss your plans and confirm the details of your installation, including material and colour choices. We also inspect the structure of your house to ensure the installation will be problem free. During our second visit all posts and brackets are installed so that we can take precise measurements for the fabrication of your sail. 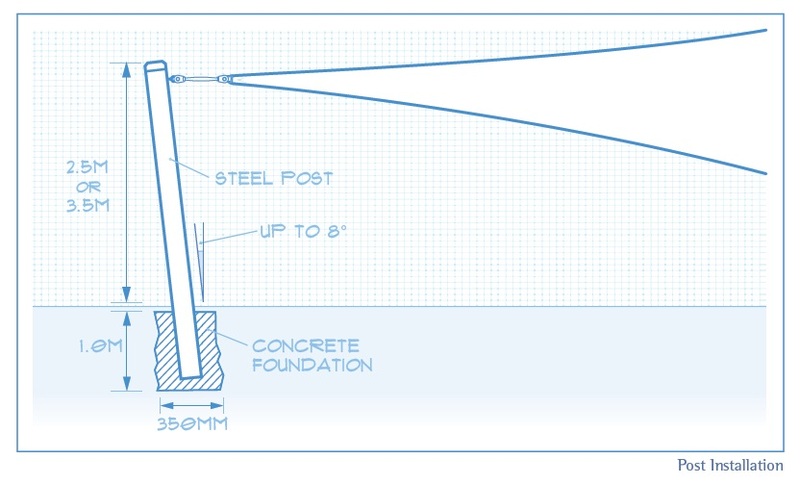 This process also allows the concrete used to install your posts to set properly before tension is applied. Your sail is then custom-fabricated and installed during a final visit. Our installation process is designed to ensure a perfect fit, eliminating the need to use long chains to extend the corners of each sail and maximising the shade provided by your sail.